The magic of books is that they allow you to travel wherever you like in your imagination. You don’t even need a ticket… or a toothbrush! The very best stories spark the imagination, empower us, provide comfort, and help us understand the world around us. And so, in celebration of May being #GetCaughtReading month, I wanted to share a little about the ways reading has shaped my world. 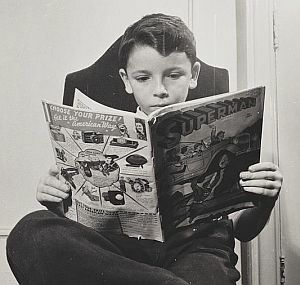 The truth is, when I was a kid I was more interested in climbing trees than reading books. Like many children, I enjoyed reading great sports stories, as well as myths from the Greek and Norse traditions. But the stories which appealed to me most were about real people, and it was in childhood that I learned about some of the figures who remain heroes of mine to this day. I was just a boy when I first read the story of Abraham Lincoln, but he was my first hero – I couldn’t get over his courage, faith, humor, and humility, as well as his gracious spirit. Another one of my favorite childhood books was the biography of Wilma Rudolph – the Olympic champion runner who conquered polio, poverty, and racism to become the fastest woman in the world. Reading these tales of real people — their struggles and their triumphs — was so inspiring to me and ultimately influenced my decision to write my book The Hero’s Trail, and to create The Barron Prize, my annual award celebrating young people who make a difference. Given the types of stories I write, it might surprise you to learn that I did not read science-fiction or fantasy until college. Once I discovered it, however, a new world opened before my eyes. Nothing beats a good fantasy tale, because what could be more fun than traveling without limits to other times, other value systems, and other universes? In my twenties I discovered and fell in love with Tolkien’s Lord of the Rings trilogy. I almost wish I’d discovered it in my childhood, just so I could inhabit that richly layered and beautifully crafted world for a longer time. And I adored reading the stories of Madeleine L’Engle, an amazing writer who I was ultimately blessed to be able to call a friend and mentor. She, like all the best writers of fantasy, made her worlds and her characters so true that we can really believe them. Her stories entertain us, as well as giving us a chance to ask some of life’s big questions. My love of nature has had a big influence on my reading habits. I grew up in places where nature was always nearby, and it truly shaped me. For this reason, I can’t resist authors who have the gift of being able to capture the essence of the natural world. I especially love the writings of John Muir, Rachel Carson, Henry David Thoreau and Aldo Leopold, just to name a few. Environmental education through writing is a powerful tool, and through reading about nature, I feel even closer to our incredible planet, even during times when I can’t be outside enjoying the tranquility of the wilderness. 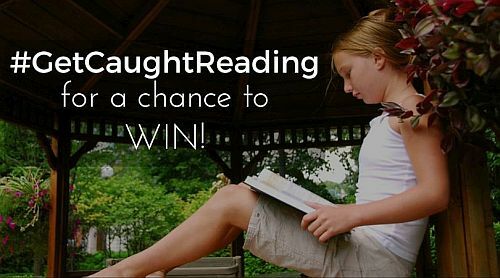 For those of us who are book-lovers, reading is essential and necessary, so I hope you’ll join me in celebrating the importance of books and reading this month by participating in my GetCaughtReading sweepstakes, happening now until June 6**. 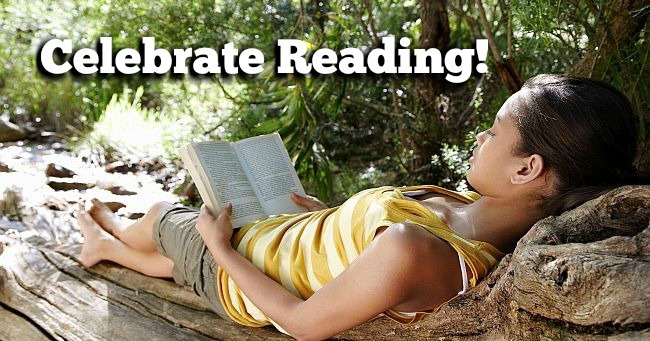 I’d love to see your snapshots of you getting “caught” reading your favorite books. And here’s to the enduring magic of the tales we love best! « « Older Post: Thank You for Going #IntoNature With Me!